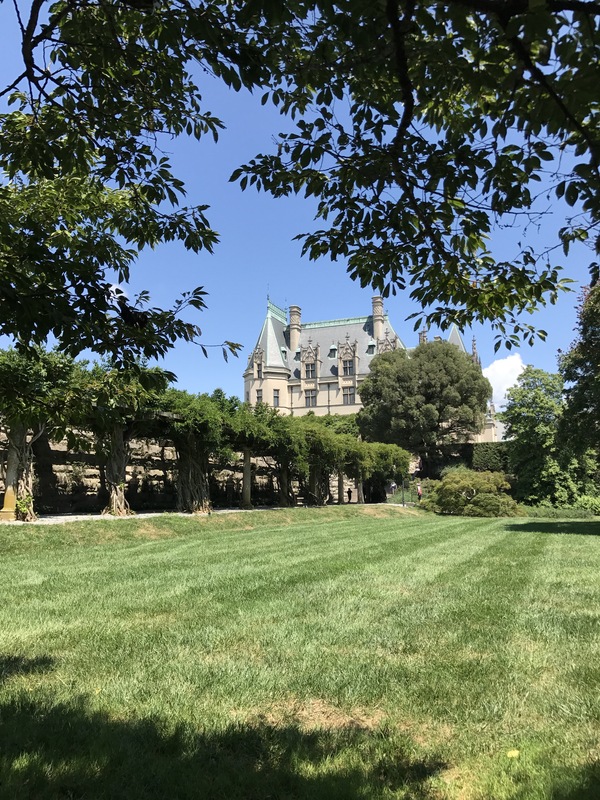 Touring Biltmore House | NJNA is Blogging! Today Carol and I went on a tour of the Biltmore Estate, the Vanderbilt home in Asheville that has been open to the public since the 1930s. The day included a self-guided audio tour of the interior of the house (think Downton Abbey), a little stroll through some of the gardens, a buffet lunch at a restaurant in a building that used to be the cowsheds, and then a visit to the Biltmore Winery for some wine-tasting and, of course, some wine purchases. 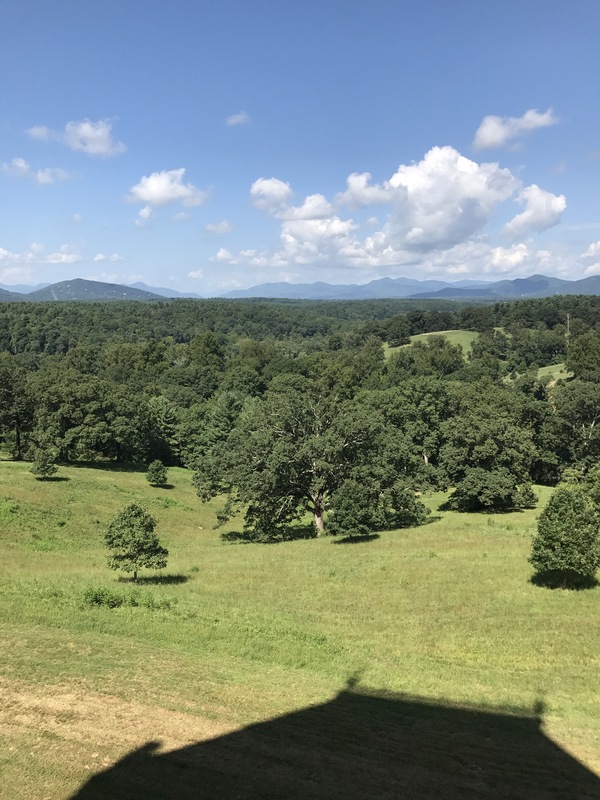 The views from the house are spectacular, across acres of forest to the Blue Ridge. We were told how Mr. Vanderbilt had a large scaffold constructed in the precise spot where the house would be to determine if the views were going to be captured as he wanted…I think he succeeded! My favorite part of the tour (aside from the view) was the basement–the kitchens and pantries, laundry rooms and so forth, where the work of keeping the house running was done. It was easy to imagine all the servants bustling around keeping things on an even keel, enabling the Vanderbilts and their guests to live the life of ease that they did.